Craig Hickman was born on December 8, 1967. He is an organic farmer, small business owner, chef, poet, author, actor, tennis fan, and the first openly gay African American to serve in the Maine House of Representatives. Originally from Milwaukee, Wisconsin, Hickman was adopted by his father, a World War II veteran and Tuskegee Airman, and a mother who took in homeless girls and provided them with a meal, clothing, and a place to stay. He attended Rufus King High School and graduated as valedictorian. Hickman moved to New England to attend Harvard University, where he graduated with honors with a bachelor’s degree in government. Inspired by his selfless mother and “green thumb” father—who tended a small urban farm in their Milwaukee backyard—Hickman embarked on a life of giving back to his community and feeding people. He first ran for the Maine House in 2010, losing to incumbent Patrick Flood. Two years later, Hickman won his primary election by a sizable margin, and then the general election on November 6, 2012, beating Republican Scott Davis. In 2014, he won re-election against Republican Lee Fellman. Rep. Hickman is serving his third term in Maine’s 128th Legislature, where he has served on the Joint Standing Committee on Veterans and Legal Affairs, the Joint Select Committee on Marijuana Legalization Implementation, and the Joint Standing Committee on Agriculture, Conservation and Forestry, where he championed food sovereignty, food security, and other efforts to protect Maine’s small family farms and promote rural economic development. Hickman is also a member of the Maine Citizen Trade Policy Commission, which was created in 2004 to give Mainers a stronger voice in federally negotiated international trade agreements, and to monitor how those agreements affect state and local laws, working conditions and the local economy. He has chaired the Winthrop Area Rotary Foundation, and served on the boards of the Annabessacook Lake Improvement Association, University of Maine Augusta Board of Visitors, Winthrop Conservation Commission, Winthrop Hot Meal Kitchen, and Winthrop Lakes Region Chamber of Commerce. In 2011, Hickman received a Spirit of America Foundation Award for Community Service. 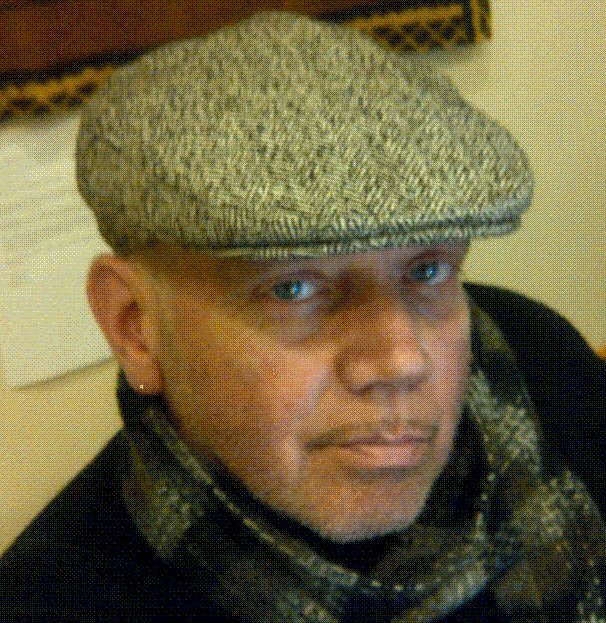 Hickman has authored three books, “The Language of Mirrors” (1993), “Rituals: Poetry and Prose (1994), and “Fumbling Toward Diversity” (2015), a finalist in the Spirituality category at the 2006 Lambda Literary Awards that chronicles his search and reunion with his biological family. A critically acclaimed theatrical performance artist, Hickman is a National Poetry Slam champion, and the recipient of the James Baldwin Award for Cultural Achievement. Hickman and his husband, Jop Blom, live in Winthrop, Maine, where they own and operate Annabessacook Farm, a sustainable farm raising organic produce, dairy, and livestock. They also host the Winthrop Community Gardens, and a fresh food bank for anyone in need. We thank Craig Hickman for championing farming, sustainability, and the environment, for his contributions to politics, and for his support of our community.